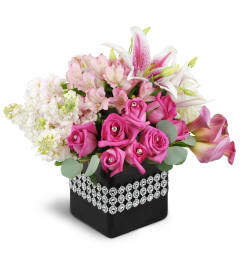 When it's time to let your feelings show, this gorgeous, modern floral gift says it like nothing else! 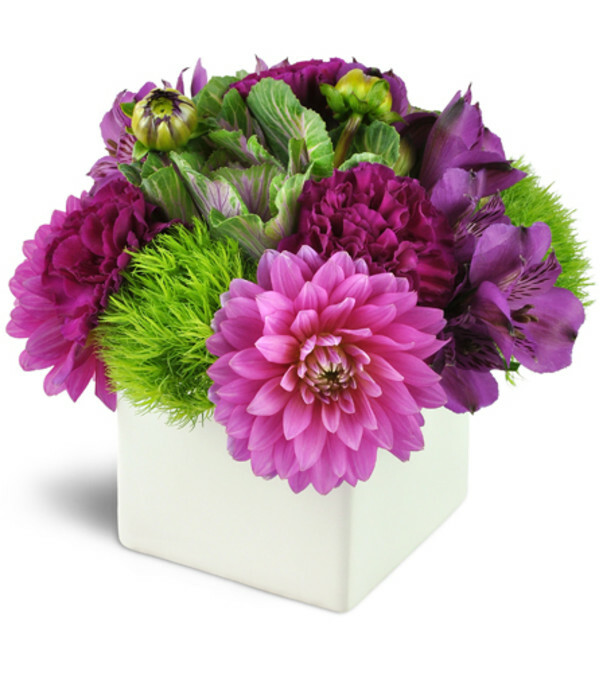 Striking dahlias, carnations, and alstroemeria blooms burst forth in luscious pinks and purples with the unique addition of kale and green dianthus. 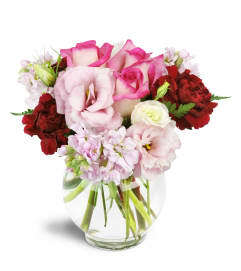 Let your beloved, your office mate, or your cherished friend know you really care with this chic, unique arrangement. Perfect for corporate gifts, love and romance, congratulations, or birthdays! Dahlias, carnations, and alstroemeria blooms are accented by kale and green dianthus and arranged in a modern white ceramic cube vase. I ordered online for birthday flowers to be sent to my friend’s work. She loved them and sent me pictures of the final product. Absolutely gorgeous flowers and very easy to work with. Hands down, I will continue to order all my flower needs from here. 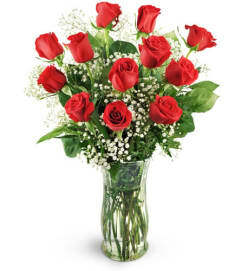 Thank you for being professionals and more important deliver high quality flowers!! You guys are the best!! It was such a beautiful bouquet my sister loved them.